Ok season 7 episode 4 "Repression" they show a female Vulcan who was a member of the Maquis. So why didn't Vorik hook up with her while he was going through Ponn Farr? Once again they use a hologram and for some reason they forget there is a female Vulcan. Discovery is the best Star Trek series yet, by far. The level of production and storyline is what Star Trek should have always been. I cannot wait for season 2, coming in late January. My roommate and I are both huge ST fans, and we were just on the edge of our seats every time we watched an episode last year. December - "The Brightest Star"
January - "The Escape Artist"
In 2010, when we moved and got DIRECTV, and Audience 101 (now AXSTV) was showing back to back episodes of Enterprise. I caught it from the beginning and watched the whole series in just a few weeks. It was much better than people seem to think about it. It and Voyager are on par with being the most different of the whole franchise (Discovery being the first). About eight years ago, I wanted to watch all of Deep Space Nine and Voyager. BUT since they all took place in the same time frame, I found a list of every single Star Trek episode that listed TNG, DS9, and Voyager in chronological order. And that's how I watched them. I started in season 5 or 6 of TNG (whenever DS9 started) and mostly bounced between episodes of the three. It was very interesting to see the Federation run the Cardassians out of the space station, and how other storylines really crossed over between TNG & DS9. Eventually, TNG ran out, then DS9 ran out and it was only Voyager. But I got through DS9 and Voyager quickly. It was a fun watch. And I know I'm in the minority here, but I just can't stand much of the original series. There, I said it. I just can't watch it. Sure, there are cute little moments with Bones & Spock, or McCoy & Spock, but it's just cheesy and cringe-worthy a lot of times. I was never a fan of TOS. My dad watched it religiously when I was a kid and it drove us all nuts. He dragged us to The Motion Picture and we were bored out of our skulls. I didn't care about the movies either. I didn't watch TNG when it came on, until about season 3 or 4. A friend got me watching it (she has always loved the franchise). I really liked it, and watched it front to back when it was originally airing. I've seen all the movies and have favorites. But TOS just isn't that great, for me. I've still not seen Discovery. I just don't feel compelled to even make the effort. I'll eventually get around to it I know. Maybe I'll get the blu-ray or whatever for Christmas. I was hooked on TOS way back when so I'm perfectly happy with the ole skool stuff. For us, we kept saying how Discovery felt like a movie every week. It's that good. Marathoning it would probably enhance that feeling, too. If you are a ST fan, watch it. PS for anyone who hasn't seen it. There is a lot of Klingon talk in the first couple/three episodes so if you're lifting it from a torrent or whatever, make sure it has subtitles. You'll need them. But you've just stated you are not TOS fan. It bored you, where as it excited me. I can see how maybe this show may really appeal to you. And maybe down the road it'll appeal to me. But I know if I wanna see ST then I wanna see specifically ST with all it mythology and whatnot intact. If I just want to see space faring scifi futuristic earth drama then I'd prefer to look at completely new concepts and ideas like The Expanse, now that has more of my attention granted it isn't getting the fanfare or funding DSC is. Those shorts better be included on season 2 DVD. Haven't seen it yet, not buying into CBS Access. Also no mention of Enterprise from you??? Well, you've not seen Discovery, if I am understanding your replies correctly. I have seen TOS. I guess I've mostly enjoyed all the ST franchise. But, I would take TOS over The Motion Picture in a hot damn second! That movie was horrid, and TOS rises above it 10x over (which perhaps is an odd statement since TMP was originally going to be a reboot of sorts of TOS, then it changed into a movie). And all the mythology etc is intact on Discovery. It's ST, after all. haha I do think that when folks watch the first two episodes, they'll get hooked. I won't spoil anything, but it's hook-y. It gets ya. Fair enough, but given the TOS is the template for the entire genre, it seems bizarre that the original is boring but it's last spinoff is great with absolutely no true mention of all the other renditions inbetween. I'm relying more on those who loved the original as I did to convince me it's worth the effort. It's Star Trek. They change their minds all the time. But I guess the cover is that if one notes that it is during a Pon Farr that Vulcans tend to choose to marry I would guess the mating ritual during that time is so serious that only a hologram would not create an "emotional" conflict when it passes. I suppose it's part of the real lore and the template for almost any sci-fi projects. It's a world we're not in so anything could happen. JJ "let's blow up Vulcan" does not count. All those stuff you mention are not flaws. They dropped the ball on that one. The just should have stated only with a mated Vulcan or a willing Vulcan. The Pon Farr is an interesting concept but it sure complicates things. There was another complication with T'Pol on Enterprise, she went through it too I understand. CBS’s new “Star Trek” series, with Patrick Stewart reprising the role of Capt. Jean-Luc Picard, will shoot in California and receive a $15.6 million production tax credit. The California Film Commission announced Monday that the untitled “Star Trek” series and eight other TV series have been selected for the latest tax credit allocations totaling $90 million under the state’s expanded Film & TV Tax Credit Program 2.0. The other eight projects include two new series — Cooler Waters Prods.’ “Flowers of Helvetica” with a $12 million allocation and CBS’s “Why Women Kill” with an $8.5 million credit. The latter comes from Marc Cherry of “Desperate Housewives” and is described as a darkly comedic drama focused on the lives of three women living in three different decades. Six recurring series already in the tax credit program and picked up for another season of in-state production have also been set for allocations — Fox’s third season of “The Orville” with $15.8 million, CBS’s second season of “Strange Angel” with $10 million, Fox’s ninth season of “American Horror Story” ($8.9 million), and the second seasons of “Mayans MC” ($7.6 million), “Good Trouble” ($6.6 million) and “The Rookie” ($4.5 million). The commission said the nine projects are on track to spend nearly $456 million in qualified expenditures (defined as wages paid to below-the-line workers and payments to in-state vendors). They will employ an estimated 1,820 cast members, 2,140 crew, and 25,000 extras/stand-ins over a combined 916 shoot days. 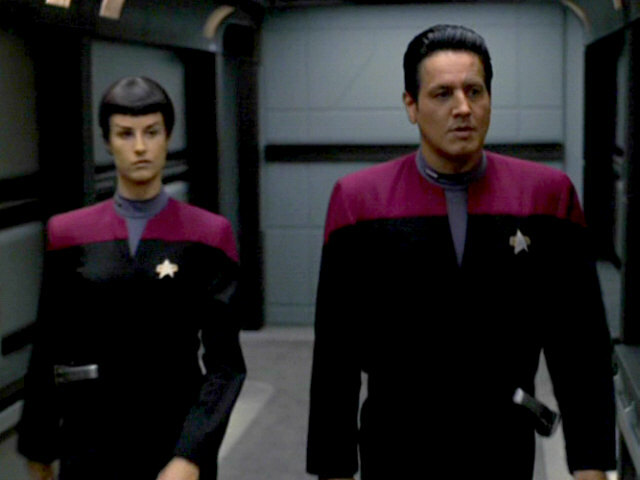 CBS announced in August that Stewart would star in the “Star Trek” series. The commission noted Monday that California-based production of the new “Star Trek” represents a homecoming for the TV franchise, which has focused recent production in Toronto. In addition to the nine TV series announced Monday, the commission said there are 21 recurring TV series in various stages of production currently in the program and eligible for tax credits. Since the launch of the expanded tax credit in 2015, a total of 61 television projects — including new TV series, pilots, MOWs, miniseries and relocating TV series — have been selected for tax credits. The commission reported on Nov. 2 that California’s expanded production tax incentive program has resulted in nearly $6 billion in in-state spending over the past three years, generated from $815 million in tax credits. California’s credit covers up to 25% of in-state production costs, which is not as lucrative as other locations, but is aimed at putting the brakes on runaway production and luring projects to the Golden State. In July, California Gov. Jerry Brown signed an extension of California’s production tax credit program for five years beyond its 2020 expiration with $1.6 billion in credits. The program was more than tripled in size in 2014 to $330 million annually to compete effectively with incentives in New York and Georgia. The program is overseen by the state’s film commission, which selects the TV and movie projects to qualify partly based on the number of jobs created. Feature films covered under the program include Disney’s upcoming “Captain Marvel,” Paramount’s “Transformers” spinoff “Bumblebee” and Warner Bros. “Space Jam 2,” starring LeBron James and Bugs Bunny. Got to blame the producers behind that. For some reason they think that kids wants kids doing grown up things in sci-Fi, that's a big no no . I remember as a kid me and my friends hated the kid character Boxey on the Battlestar Galactica, Boxey ALWAYS wanted to tag along on the away missions. 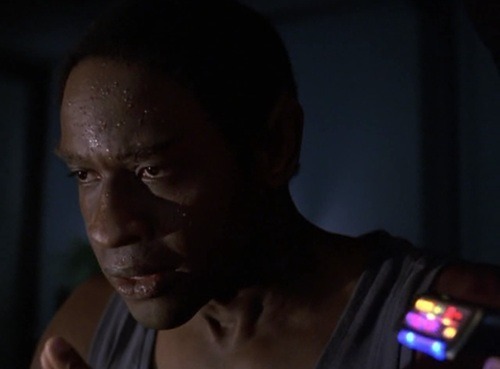 Notice no real hate for the Jake Sisko character? They got it right. Just a normal kid, and one of the best father/son relationship TV has ever done, considering it's in the future, on a space station and Jakes best friend is a Ferengi. I'm still not paying for an extra service to sit and watch tv. This mess is getting completely out of hand I swear there's going to be another bubble burst coming. I might get mine for Christmas, maybe. Or I'll wait until I can borrow it from somewhere. I love Jean Luc Picard but Patrick Stewart has gotten pretty old he's getting that shrunken look. I don't see too many flips getting out of the way of laser fire happening often in his future. Yes this is a bad trend, paying even more services. I remember when you had TV for free and all you paid towards it was the electric bill. I know the networks are jumping on the netflix craze but I hope CBS access crashes big time. Now there is DC universe where once again you pay. That'll just drive people to seek out sites and devices to circumnavigate these pay-to-view services. I just read an article that states this seasons GoT is going to be a serious game changer, $10 million per episode is being spent. Which means other tv shows are going to be pushing that envelope even higher. So I do see services ramping it up because obviously enough people will keep paying for it. I've just hit my ceiling on paying for tv so I'm just going to have to make do. I'll just keep watching old ST shows, there's a lot of them. Orville is still free. Yeah, but it's one thing paying for one site like Netflix to view stuff you wanna see on...and another to pay many sites to see what may be only one thing that you like on that one site/service... And I ain't gonna do it. I've never paid for cable TV or any other service besides Netflix to this day (and I quit paying for that a few years ago)...and I never will. I find a way to watch what I want to watch when I want to watch it. I pirate software, movies, and a very few shows I don't have legal access to. I can usually download the shows I'm most anxious to see in high def before they air here on the west coast. Just transfer them to a flash drive and the tv will play them. IP Vanish will keep you safe when torrenting. It even has a kill switch so if you get disconnected from the server, it kills the internet connection on your pc so you'll never get copyright infringement notices. There's also some good places to go to watch shows like Mad Men, Game of Thrones (I turned so many people on to that show when I binge-watched the first two seasons! ), and Boardwalk Emprire, to name a few... In the "olden days" I used to copy stuff like The Sopranos...but I realized I didn't want to copy and burn everything so I gave it up. Funny thing, the only two series I bought on DVD were Law and Order: Criminal Intent and Law and Order: SVU--yeah, I'm a long time Law and Order junky!